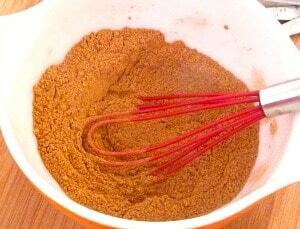 Gingerbread Spice – a simple blend to make at home, and then use in all kinds of recipes for that quick gingerbread flavor. I’m playing with ideas for gingerbread flavored this, that and the other… muffins, waffles, we’ll see if I can pull off gluten free, sugar free gingerbread itself… But meanwhile, there is some interesting food happening here. 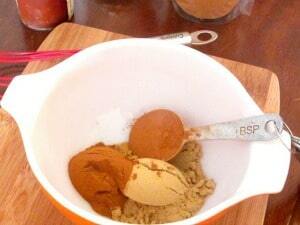 Then I thought “Who is this ‘They?’ Why don’t I have a Gingerbread Spice Blend?” So, well… now I do. And now, so do you, if you want one. Every existing recipe I looked at had a different ratio of spices… so feel free to tinker, if this doesn’t taste right to you. Also be aware that some of the flavor we associate with gingerbread comes from molasses… so my recipes won’t hit that note (though I think I do get others) and if you use this in your own recipes, and you are already using sugar, substitute brown sugar, it will taste more like it. It really does matter to have fresh spice – ground spices especially lose flavor, and if yours are more than a year old, it’s best to replace them. (OK, I find the ground cloves do last a bit better which is just as well, as I don’t use them much.) 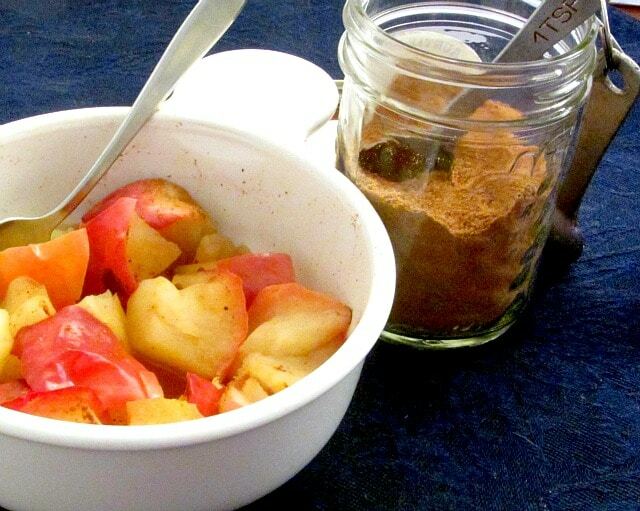 Ginger, though… ground ginger has already lost a noticeable amount of flavor at three months. So I bought mine last week at the local Indian spice store, as they have a great turnover. If you see it sold in bulk – I have – walk on by… that wonderful smell is the taste just vaporizing… (That may be different in other countries, if there actually is enough turnover – there isn’t, here.) Get the smallest sealed package you can, and replace it regularly. Equally, I’m giving you a variable measurement for nutmeg. It loses flavor almost immediately, which is the reason you see fresh nutmegs and graters. And that is wonderful for a sprinkle of nutmeg on your spinach or eggnog. But I have actually grated a full teaspoon, once, for a (large) recipe, and… never again… So, while I call for a teaspoon of ground, here, if you do feel up to grating it fresh, you can just use half as much, for the same flavor. (Or you can grate it fresh into each individual recipe – which will add flavor, but takes away a certain amount of the convenience factor.) Nutmeg is not the primary flavor here, so do what works for you. Anyway, what I ended up with was three tablespoons of ginger, two of cinnamon, one teaspoon of ground cloves, and one of nutmeg. I simply mixed them in a bowl, and poured into a jar. And I spooned that right into my muffin batter, and my protein shake in the morning (who says a salt lassi inspired shake can’t taste like gingerbread?) and I’ll be using it in recipes. Cut up and core an apple. 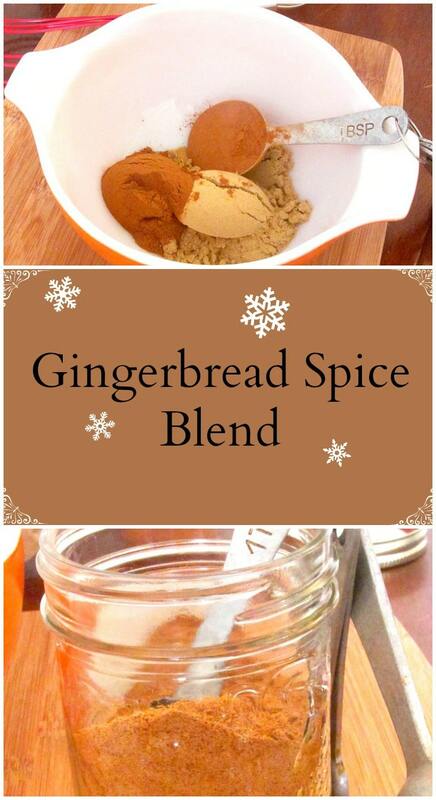 Sprinkle it with Gingerbread Spice. Cover loosely, and microwave about 2 minutes, until soft and running with juice. Edited to Add – The blend does indeed work nicely in both (gluten free, sugar free) Gingerbread Muffins, and (gluten free, sugar free) Gingerbread Waffles. Not to mention (gluten free, sugar free) Gingerbread! Such a treat for breakfast! 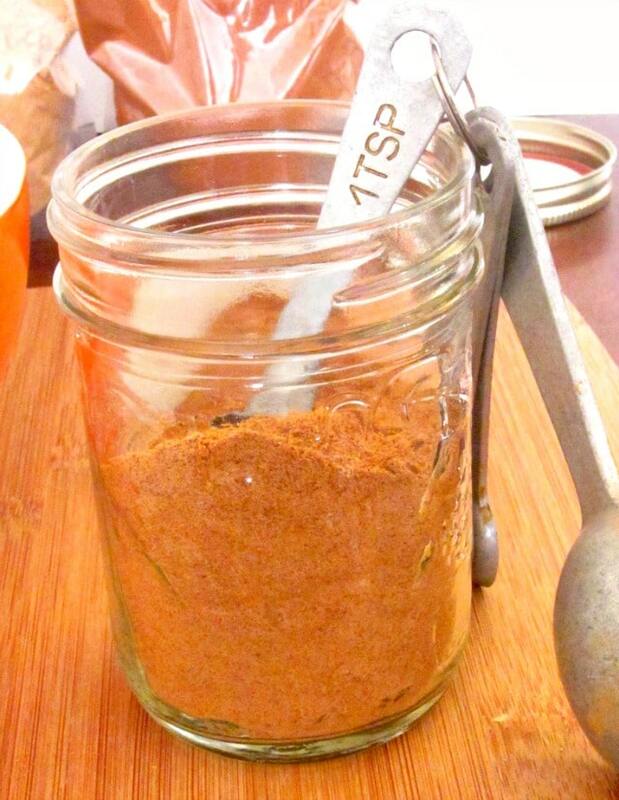 A simple spice blend to make at home, and then use in all kinds of recipes for that quick gingerbread flavor. Blend all spices. Keep in a covered container. 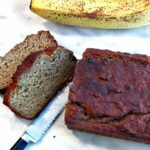 Use in muffins, hot cereal, anywhere you want that gingerbread flavor.